Everyday Free Shipping* on orders over $75! We'll send you special offers, how-to guides, and seasonal information. 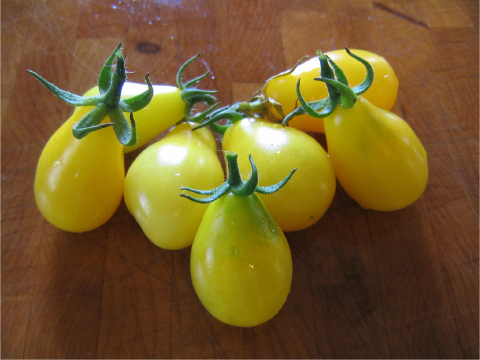 The Yellow Pear is a plentiful yellow pear-shaped tomato that is vigorous and an extremely old heirloom. 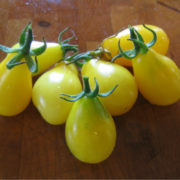 This tomato variety is very popular for both home gardens and markets, as it is as rich in vitamins as it is flavorful! The Yellow Pear’s growth is fairly tall, so provide some staking or caging. This deliciously tangy tomato adds as pop of color in salads, sliced on a plate or in preserves, as it looks great on a summer hors d’oeuvre platter. The large plant of the Yellow Pear prolifically produces oodles of tiny yellow pear-shaped fruit with its favored flavor! Tomatoes are one of the most common plants grown in the garden, but they are usually grown from transplants bought at the store and not seeds. However, growing a tomato from seed allows for more options when it comes to the type of tomatoes a gardener wants to grow. Tomatoes range from typical red to yellow to seedless and heirloom varieties. Homegrown tomatoes taste delicious fresh, or they can be used for canning, sauces and other recipes. 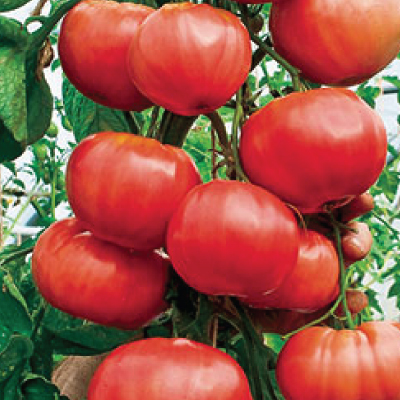 Before Planting: Tomatoes should be grown in a sunny location with good soil drainage. Planting: Start seeds indoors under controlled conditions. Use soilless grow media. Place in a sunny window with at least 8 hours of sunlight. Water only when soil feels dry to touch. No fertilizer is needed until transplanting. Using a heating pad to keep the soil between 70-80°F. Slowly introduce your tomato seedlings to the outdoor environment one week before transplanting. Each day add more time outside. Start with shade and no wind outdoors and work your way up gradually to sun and wind. Transplant after last frost date and soil temperature has reach 60°F. Watering: Water at least 1 inch per week. Always water the base of the plant and not the leaves. Fertilizer: Add 1 ounce of high phosphorus fertilizer (5-10-10) in hole before transplanting. Fertilize again when first tomatoes begin to appear and then again when first tomato is picked. Days to Maturity: Tomatoes are ripe when they have reached the right color – red for red tomatoes, yellow for yellow tomatoes and so on – and are slightly soft when squeezed. This is usually 65 to 80 days after planting. Harvesting: Fully vine-ripen fruit only for local retailing or use. To deliver sound fruit, pick fruit less ripe the further the distance and the longer the time between the field and the customer. Store firm, ripe fruit 45-60°F for 4-7 days. Some varieties will store longer. Tips: Learn the common tomato diseases in your area. Select resistant varieties. For prevention, use young, healthy transplants, avoid overhead irrigation, plow in tomato plant refuse in the fall, rotate crops, and do not handle tobacco or smoke before handling plants. Fungicides can reduce certain diseases when properly selected and applied. Prevent Blossom End Rot by providing abundant soil calcium and an even supply of soil moisture. Use row covers to protect young seedlings from flea beetles. Tomato hornworms can be controlled with bacillus thuringiensis. Use spinosad for potato beetle larvae and adults. Avg. Planting Rates: Avg. 785 seeds/667 plants to produce 1,000 ft. of row. Avg. 8,540 seeds/1 oz., to produce 1 acre of transplants, 18″ between plants in rows 4′ apart (7,260 plants needed). 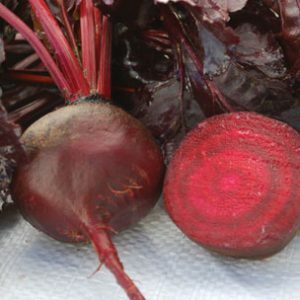 Urban Farmer is a leading provider of high quality, non-gmo seeds and plants to gardeners, farmers and commercial growers. Sign up to receive our free garden seed catalog and see whats new for your home garden. Ships annually. You'll find answers to many questions on our FAQ page. If you need further assistance, we're always available to help. All images and content are copyrighted 2019 © by Urban Farmer LLC. All Rights Reserved.